Enter the enchanting world of Beatrix Potter! Whether you’re young or old, if you love Peter Rabbit, Tom Kitten, Jemima Puddle-duck and all their friends, you’re going to adore the Beatrix Potter Figurine Collection! 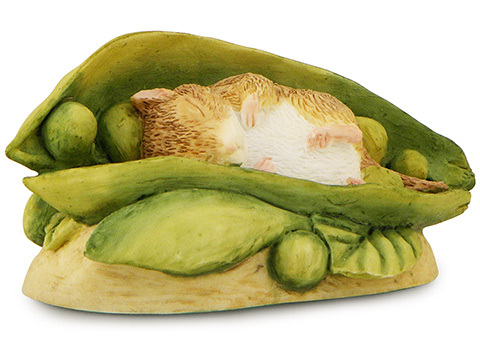 Each of these delightful miniature figurines has been faithfully, lovingly created from Beatrix Potter’s original illustrations. You’ll be amazed at the care and detail that’s gone into each piece – they seem to have a life of their own! Relive these classic tales from your youth – or be the first to introduce them to a whole new generation. Could you imagine a childhood without Beatrix Potter?